For South Korean financial companies looking out for new growth momentum, the “New Southern Policy” -- the key foreign economic policy of the Moon Jae-in administration -- came as a timely opportunity to create synergy with the fast-growing Southeast Asian market. The overseas net profit of domestic financial companies last year totaled $934 million, up 42 percent from a year earlier and exceeding 1 trillion won in Korean currency for the first time, the Financial Supervisory Service data showed in May this year. Of the total, banks accounted for $866 million or 93 percent, while financial investment companies and credit finance companies followed with $65 million and $86 million respectively. Insurers made a small loss over the period. Geographically, it was the Asian region which led the boom, taking up 79.8 percent of the sum. 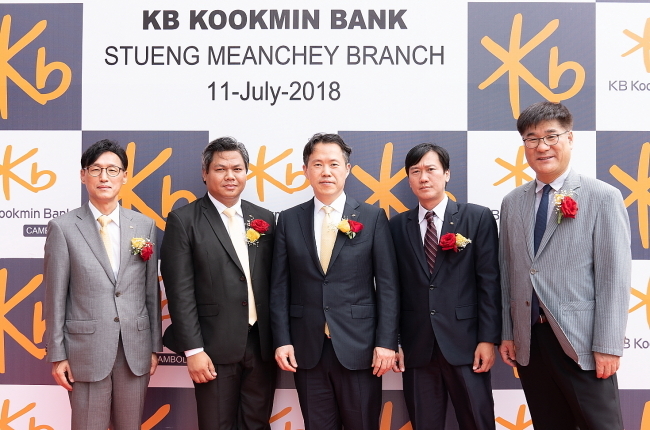 One of the champions in Southeast Asian market expansion is KB Financial Group, steered by its flagship KB Kookmin Bank. In July this year, South Korea’s leading bank signed a deal to acquire a 22 percent stake in Indonesia’s Bank Bukopin, rising as the local bank’s second-largest shareholder. Also, Liiv KB Cambodia, which is the bank’s local digital banking platform launched in 2016, attracted over 34,000 users during the first 18 months of business. 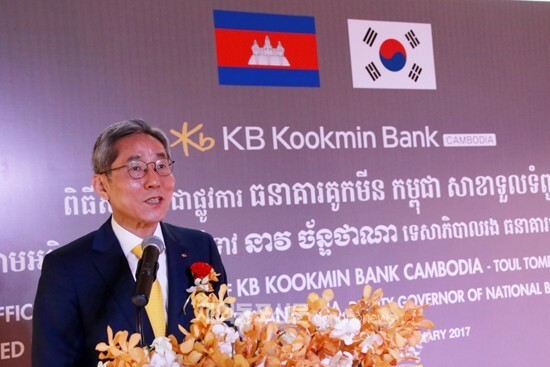 “KB Kookmin Bank’s loan rate in the Southeast Asian region has grown at an annual average of 38.1 percent over the past two years,” said an official of the financial group. The key to such tangible progress was the bank’s business strategy, mapping out different business road maps to each country depending on the corresponding market’s characteristics, according to the official. “For instance, in financially advanced markets such as the United States and European countries, we would choose to focus on sophisticated corporate investment banking services,” the official explained. In emerging markets, on the other hand, the business priority has been to promote MSMEs -- Micro, Small & Medium Enterprises -- and digital banking functions, according to the official. It was in this perspective that the bank opened KB Microfinance Myanmar in Yangon in March 2017, which currently consists of six offices and over 25,000 customers. Among asset management units, Mirae Asset Financial Group made a visible progress this year. Mirae Asset Global Investments Co. acquired a full stake in Vietnam’s Tin Phat Management Fund Joint Stock Company in February this year to become the first South Korean asset manager to set up a legal entity in the Southeast Asian state. 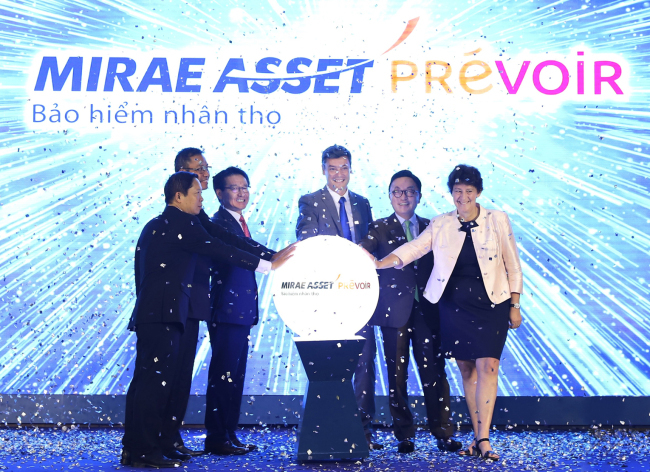 Also, Mirae Asset Life Insurance, the insurer unit of the group, announced in May that it had purchased a 50 percent stake in Prevoir Vietnam Life Insurance and launched a joint corporation under the name Mirae Asset Prevoir Life Insurance. The largest accomplishment came from the group’s brokerage house Mirae Asset Daewoo, which scored a record half-year net profit in the Southeast Asian market this year. The company’s aggregated net profit in Vietnam, Indonesia and Singapore amounted to $10.2 billion as of end-June, according to FSS data. Meanwhile, the holding group also expanded its Southeast Asian association by unveiling a plan to invest some $150 million into ride-hailing service Grab through a startup fund jointly set up with web service giant Naver. The market value of the Singapore-based startup was estimated at around $6 billion as of end-2017. Earlier in April, the fund had also made an investment of some $265 million into Didi Chuxing, the Chinese version of the mobile vehicle-hailing service. “The forte of Mirae Asset-Naver Asia Growth Fund is that the financial-IT partnership may create synergy in investment,” an official of the financial group said. After launching their joint fund in March this year, Mirae Asset and Naver increased the total capital from 200 billion won to 1 trillion won in August, gesturing at expansive investment in the region.